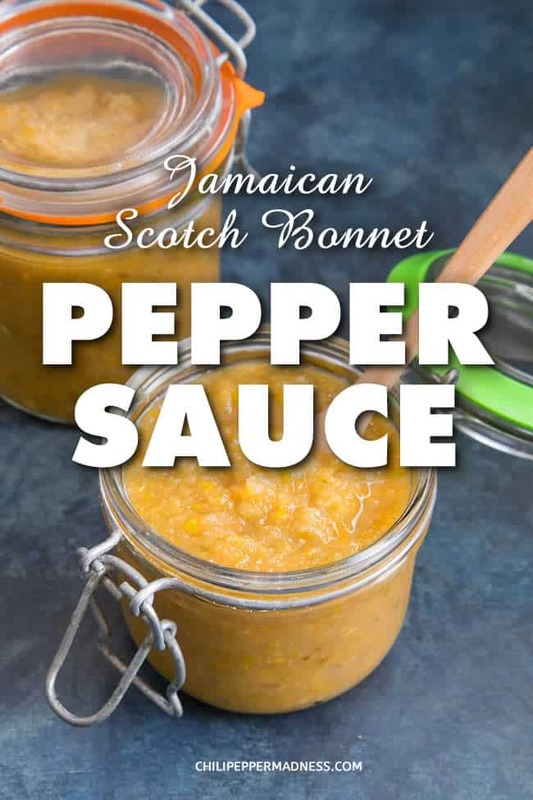 Get this recipe for spicy pepper sauce made with fiery Scotch Bonnet peppers and a mix of Jamaican seasonings. Great for chicken and seafood. I grew a SLEW of Scotch Bonnet peppers last year. Holy WOW were my plants productive. I typically grow anywhere from 15 to 20 varieties of peppers, a mixture of my favorites and new peppers I want to try and play with. Scotch Bonnets are one of my favorites that I grow most years. They have a good level of heat, very similar to a habanero pepper, along with the duo qualities of being both fruity and somewhat sweet. It’s the ideal trifecta for me, really – Fruity, Hot and Sweet. Yeah, baby! Give me that any day of the week. Learn more about Scotch Bonnet Chili Peppers. When they’re so CRAZY productive, you’ll never really go through them cooking one or two into a dish. You need to make yourself some sauces to use them up. 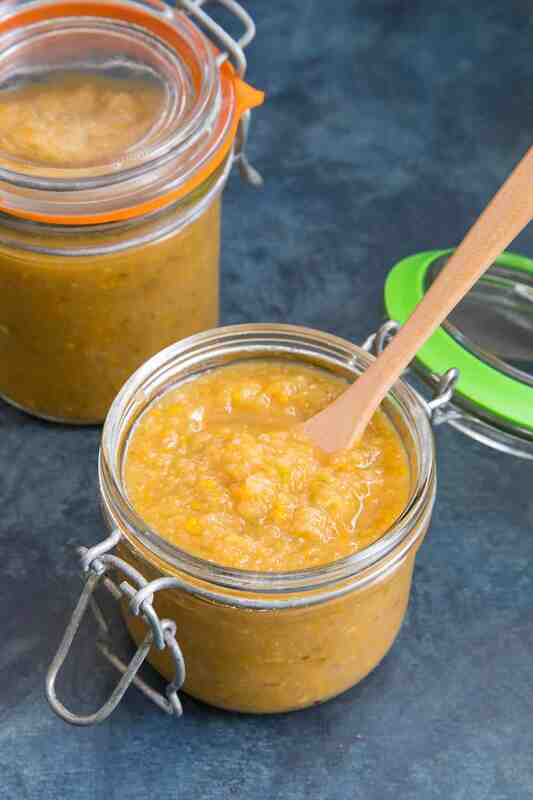 Like this one — Jamaican Scotch Bonnet Pepper Sauce. This is a recipe that begs to take your chicken or seafood to the next level. 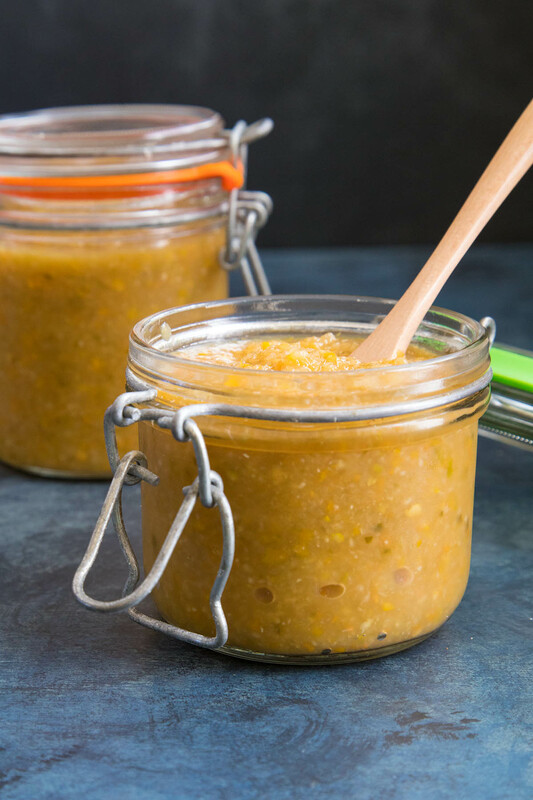 The ingredients include some you’ll need to head to the store for – chayote, pineapple, mango, cucumber, along with onion, carrot, garlic, pickled jalapenos, lime juice, cumin, salt and vinegar – and plenty of Scotch Bonnets, of course. It’s a flavorful combo that comes together in a particularly fiery sauce, taking you to the Caribbean. It’s super easy to make. Just add all of the ingredients to a blender or food processor and process it all up until fairly smooth. Next, simmer it in a big pot for an hour to let the flavors mingle and develop. Finally, cool the mixture and set it into a sealable container. I let mine sit in the fridge at least a day before using, allowing the flavors to mingle even further. You can use it as a marinade for your chicken or fish, or as more of a finishing sauce, or both! 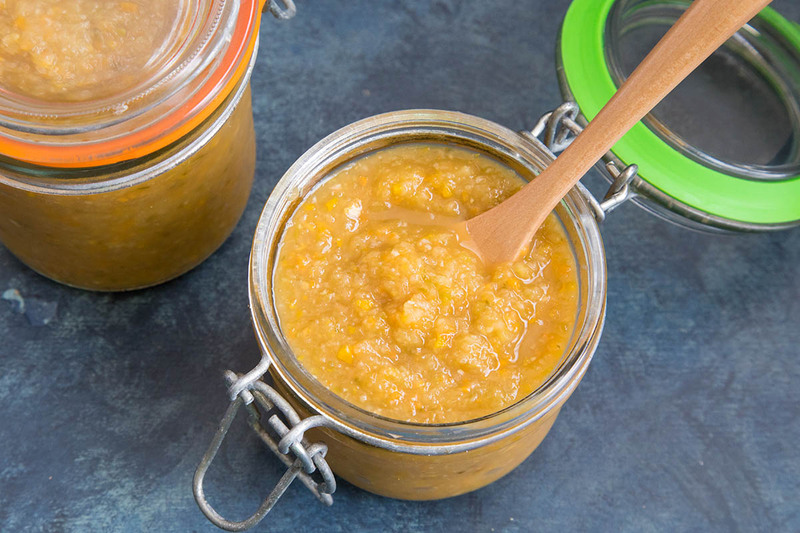 It’s also great for swirling a few tablespoons into soups, stews or other sauces to give them a bit of a fiery kick and blast of flavor. I hope you enjoy it. Let me know if you make it! – Mike H.
A few notes on making hot sauce. If you’d like to dial back the heat level, skip the habanero pepper. You can also reduce or skip the serranos, and go with jalapeno peppers only. You’ll still get a nice kick from them. Add all of the ingredients to a food processor or blender and process until nice and smooth. Transfer the mixture to a large pot and bring to a quick boil. Reduce heat and simmer for about 1 hour to let the flavors mingle. Cool, then transfer to a container and seal. Refrigerate at least 1 day to let flavors develop. Heat Factor: Hot, though you can easily dial back on the Scotch Bonnet peppers if you'd like a milder version. This looks fantastic!!! I made something similar recently but I used Ghost peppers and habaneros as I didn’t have Scotch Bonnets. I’ve never even seen them around here aside from bottled in a sauce in the local groceries. The recipe I found was posted by Chris De La Rosa his channel, carribeanpot on YouTube (Traditional Caribbean Peppersauce (hot sauce) Recipe). I made a half batch so about 2 cups of chopped peppers and I used 6 to 8 (I can’t remember exactly at this point…I have to write this stuff down) Ghost peppers and rest was a about 3/5 chopped Habaneros and the other 2/5 was a mix of chopped red, yellow and orange sweet bell peppers. The sauce is super simple, chopped hot peppers, culantro (I used cilantro as I didn’t have culantro as suggested), crushed garlic cloves, juice of a lime (I didn’t halve this) and a teas. of sea salt (didn’t halve this either) and just a 1/2 cup of white vinegar. The chopped veggies were run through a vintage Mince-O-Matic 7 that I picked up from a local second hand peddlers mall for $2.50 and it produced the perfect consistency without having to gauge pulsing and stirring to make sure it wasn’t just a soupy puree. 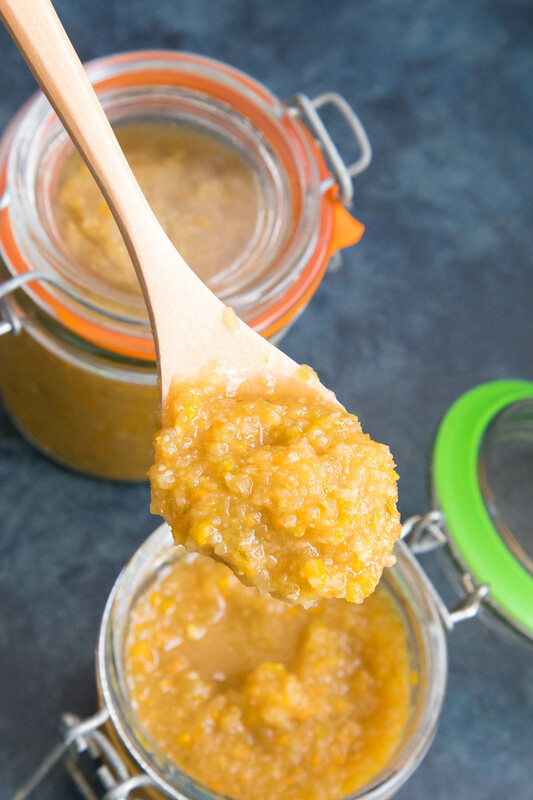 I let it sit in a jar on the counter for about 2 days and then a week and a half in the fridge before touching it other than a very small taste and HOLY COW this stuff is hot! It has soooooo much flavor too. It has a very fruity flavor but the heat is crazy. I’ve used it to add to a chilli I made recently It was canned beef chilli, canned diced tomato and canned black beans (drained). None of them was spicy at all. I just opened the cans, poured them into a pot and got them bubbling hot. I added 1 teas. to a hearty bowl and WOW that’s some good stuff. It totally turned a quick average, OK tasting guilty treat into a tasty, sweat inducing meal and seconds were in order for sure. I’ve repeated the same thing chilli/sauce mix again and it was just as amazing. I have made a second batch and it’s larger and less bell peppers and more Ghosts and I will need to temper it down a notch as it is like lava in a jar. It used 3 cups of peppers and there were 12 to 16 Ghosts in that, more Habaneros and very little bell peppers. I will tone that down a bit and I’ll fill some hot sauce bottles and can it to store long term. It’s my first really successful hot sauce and I’m proud. It’ll make a great base for serious salsa with just tomatoes or tomatillos and onion. It is! I have more than enough to last me. I need to find someone to give a bottle too but I don’t know anyone around here that likes heat like this. I might can some. I’m sure it will just get better with time. If mailing it was reasonable I’d send you a bottle HAHA! One of the best things about your site and the others that are somewhat similar is being able to share ideas and recipes and the general love of all things spicy. Thanks, Jason! I do love keeping it spicy! Have a good one! Thanks, Mike. Yes, I believe you can can this recipe, but I would check the PH first. For home use, it’s best at 4.0 or below. Let me know how it goes! I’m anxious to try your scotch bonnet hot sauce recipes. My favorite hot sauce of all time was one I bought in Jamaica called MyDad’s Scotch Bonnet pepper sauce. It was available one time in CA but I can’t find it anymore. I would LOVE to replicate it. Have you ever had it by chance? Nancy, I’ve never had it, but surely wish I did! I’m excited about trying this one! I’ll probably leave out the pickled jalapeños though. I’ll let you know how I like it. Nothing beats Scotch Bonnet peppers for taste to me. Well, I love Serranos too. ???? Can’t tell you how much I enjoy this site!! Thanks, Nancy! I appreciate it! YOU ROCK!! Hi there, I’d like to make this sauce but can you advise how long it will keep in the refrigerator? Lee, this sauce should keep a few months easily in the fridge, or even longer. It’s all about the acidity. The target level ph for shelf stable foods is below 4.6 ph, but should probably be lower for home cooks, around 4.0 or so, to account for errors. If you’re concerned, add more vinegar to lower the ph. Sauces made with fermented chili peppers will last even longer. I hope this helps! I really want to make this but all I have left from the garden is ghost & habanero peppers. Would either work with this recipe or is it best with scotch bonnet? REPLY: Brian, this recipe will work great with habaneros. Let me know how it turns out for you! — Mike from Chili Pepper Madness. REPLY: Larry, I’ll have to work on that soon. — Mike from Chili Pepper Madness.